Tick season isn’t so much tied to “summer”, as it is warm weather. And these days, warm weather can go well into fall. With Lyme Disease carrying ticks in more than half of US counties, everyone needs to be aware of Lyme Disease. Not only does Lyme Disease awareness help with recognizing symptoms so you can get an early diagnosis, early treatment, and nip long term problems, but it helps people to better advocate themselves (since Lyme Disease is swamped with medical politics). As tick season continues, make sure you’re supporting your immune system with colloidal silver. The CDC says that there are over 300,000 new cases of Lyme Disease each year with about 20% of patients developing post-Lyme Disease symptoms, while the International Lyme and Associated Diseases Society says that a more realistic analysis is that over a million people get Lyme Disease each year, with more than half developing post-Lyme Disease symptoms. There’s even some research pointing to Lyme Disease as a possible cause of more enigmatic diseases like Fibromyalgia. Prevention is for everyone. You don’t have to be a nature enthusiast to be at risk for Lyme Disease. Deer, mice, and other mammals can deliver ticks to your yard, and even if you’re hiding inside outdoor pets can then bring them in. Keep ticks out of your yard by keeping grass short, creating barriers between your yard and long wild grasses, and getting rid of places like rock piles that might attract small mammals. For jaunts into nature, keep sleeves and pants longer to help keep ticks from hitching a ride. Do a quick tick check before you or pets come inside. Finding a tick is an important shortcut to diagnosis. 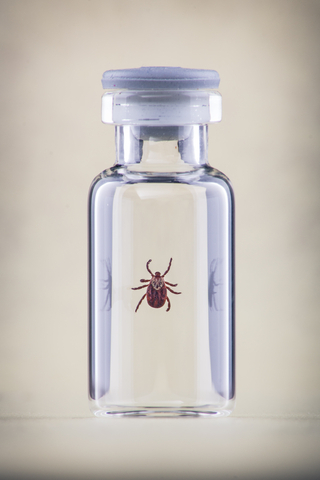 If you’re in an area heavy with ticks, it’s an extra good reason to make sure you’re getting daily support with colloidal silver (remember: pets can get Lyme Disease too! ).